Few things are more powerful than a warrior who knows his equipment inside and out. 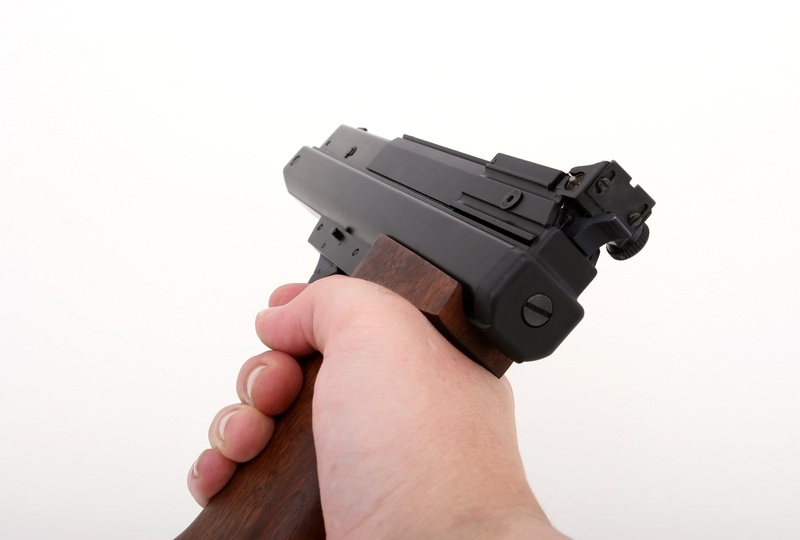 Knowing your weapon, though, is more than just practicing how to use the gun itself. weapon scopes and sights are essential to getting the perfect shot. These days, weapon scopes and sights are so ubiquitous that even a halfway decent video game attempts to give players an accurate representation of these essential weapon parts. Yet painfully few weapons enthusiasts actually know in detail how they work. Your weapon itself, and all your training and practice with it, can only get you so far. 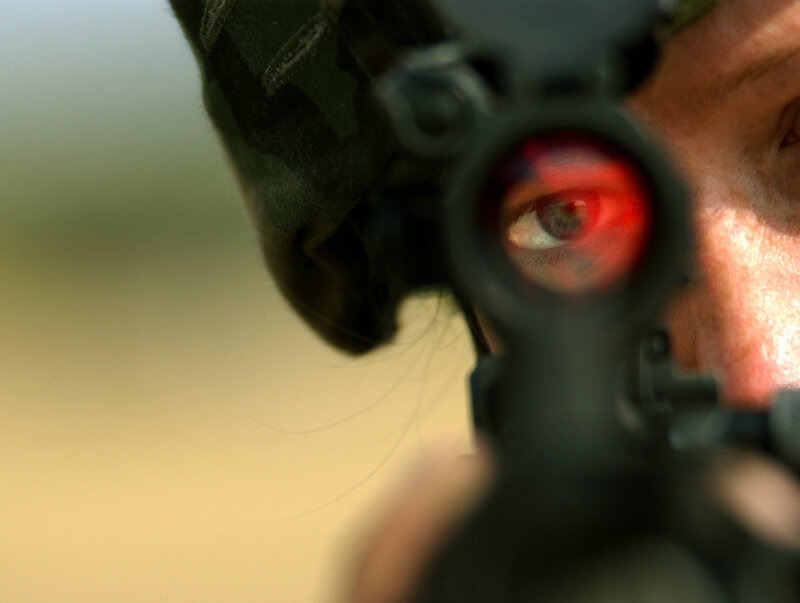 The human eye limits the range of your weapon more than the weapon itself ever could, and the right weapon scopes and sights are essential to getting the shot you need. That tiny speck that you can barely make out with your eyes pulls up close to you in perfect clarity through the power of your scope. That guesstimate your eyes make of what your weapon is trained on becomes a certainty in the crosshairs of your sight. Having the right weapon scopes and sights, the perfect accessories for them, and knowing how to use them, adjust them, and maintain them are essential skills for every warrior, hunter, or weapons enthusiast. 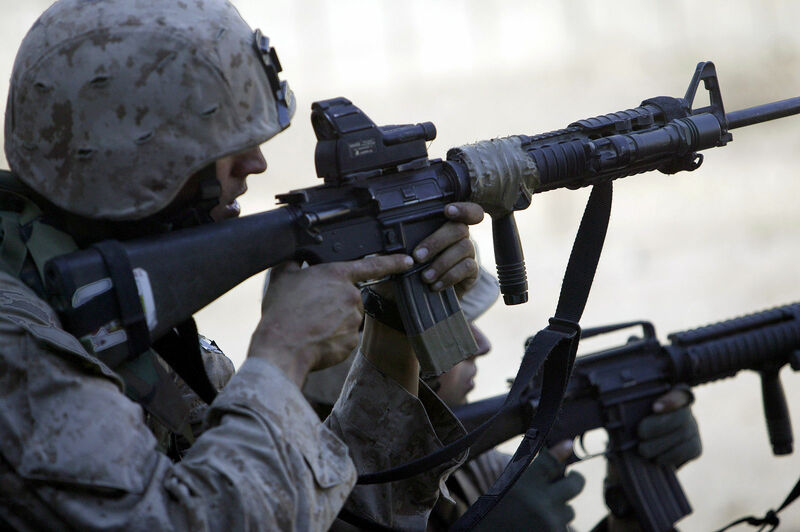 Scopes are mounted to the barrel of a weapon at approximately the midway point. 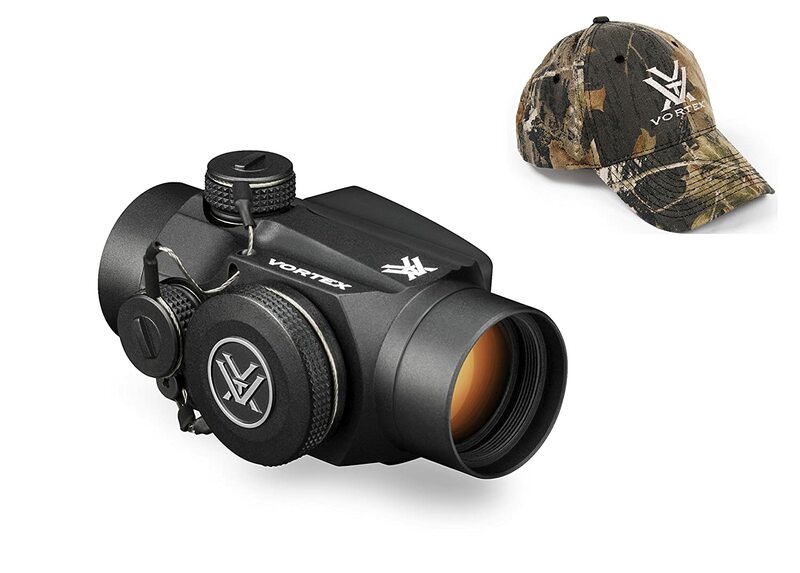 They provide magnification so you can bring a far away target into close focus. They let you see both your gun’s sight and your target in a way that ensures you are lined up for the shot. All weapons scopes use a series of lenses much like those you would find in a telescope or pair of binoculars. In fact, in the field, they make a passable substitute for binoculars when binoculars aren’t available. These lenses magnify when you see through the scope. Your scope will also provide you some kind of reticle that shows where your shot is likely to go. We say “likely” because long-distance shots are affected by many things other than just your aim. The reticle may look like crosshairs, various types of dots, a star, or a bullseye. 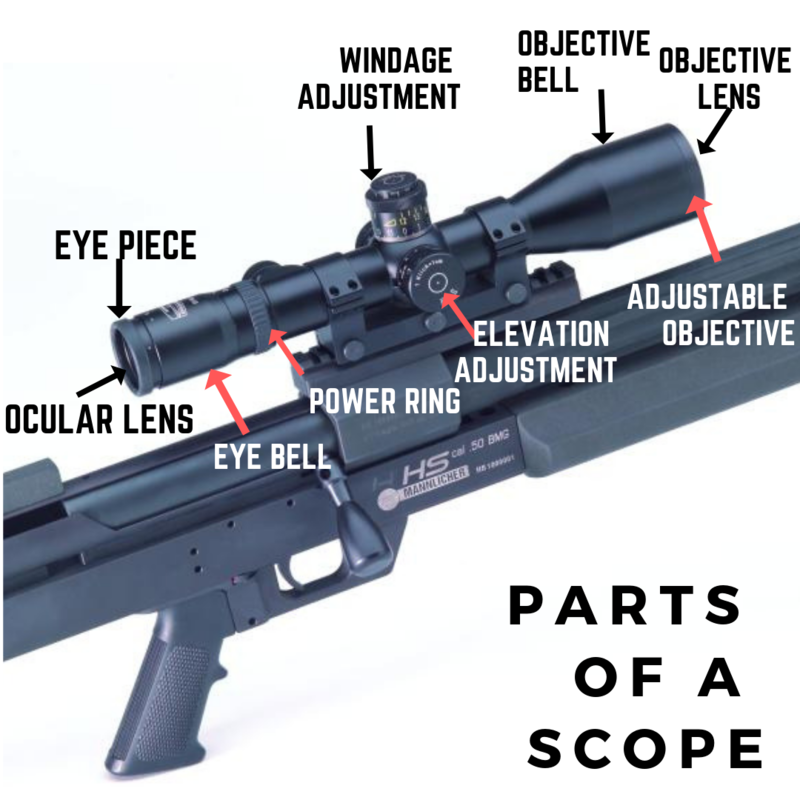 The scope will also have a way for you to adjust the elevation, a mounting rail for putting it on your weapon, and often a cap to protect the adjustment and the end. 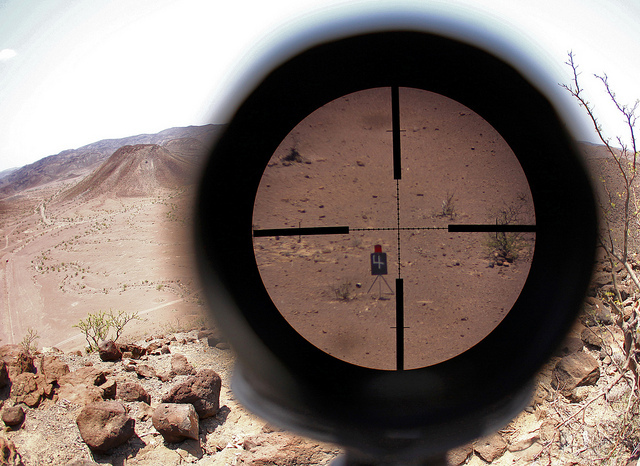 The user peers through one end of the scope, resting the reticle on the target. 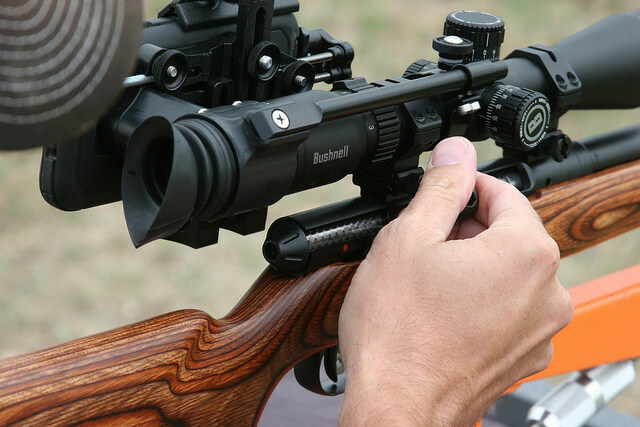 By adjusting the knobs, the user can center their scope on the target and adjust for various factors like wind, distance, and the way the bullet will drop in response to gravity. Scopes for magnifying a shooter’s target came into existence not long after the telescope was invented by Hans Lippershey in 1608. Prior to this invention, all shooters used iron sights only, and these were so reliable that even a hundred years after the first scopes came out, the famous sniper Simo “White Death” Hayha thought they were inferior to sights. The first scope, called a “telescopic rifle sight” was made in 1776. Unfortunately, it was an unmitigated failure. The recoil of the rifle shoved the scope back into the user’s eye, and the idea was abandoned for a while. Finally, in the 1830s, Morgan James made the first successful scope. 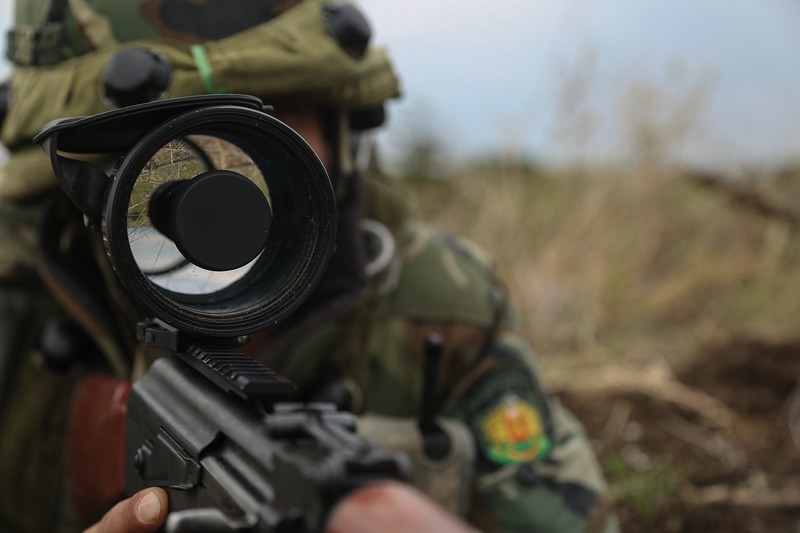 Scopes produced a new kind of warrior: the sniper. The first snipers appeared during the Civil War, and their existence was almost based more upon the potential of the scope than actual performance. Everyone could see that the “telescopic sight” could do great things, but it would take a while before the potential became reality. Snipers in the North mostly used Sharps rifle, which gave birth to the term “Sharpshooter.” Southern snipers used the British Whitworth rifle, which, when combined with a scope, was the most accurate rifle in existence and the true first modern sniper rifle. 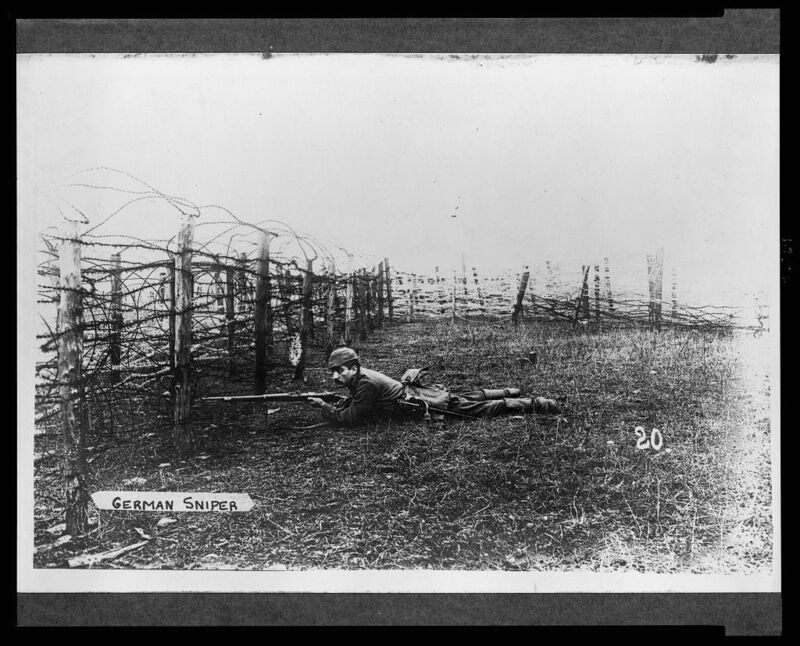 The sniper’s place in modern warfare and the value of the scope were well established by World War I. 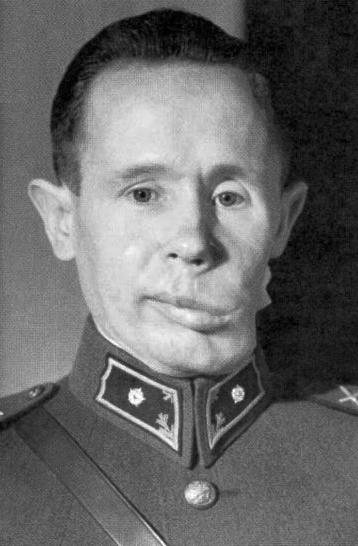 In that conflict, Germany dominated the sniper war with the finest rifles and scopes. By World War II, rifle scopes were highly developed and available to regular infantrymen, not just snipers. The two greatest scope improvements came from the United States and Germany. In the US, the Unertl Optical Company provided a scope that every soldier to put on an M40 rifle. It proved excellent 10x magnification. The Germans, meanwhile, actually invited the world’s first night vision scope: the Zielgerät “Vampir” 1229. 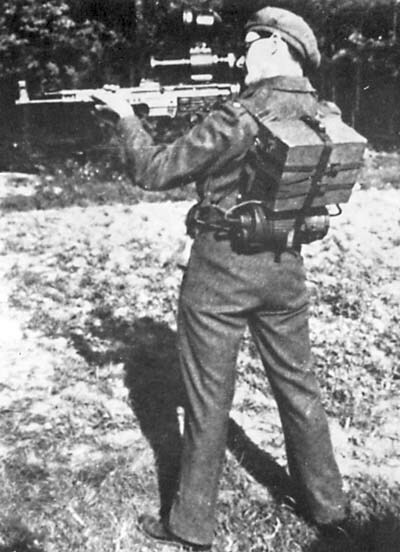 They put it on their Sturmgewehr 44 assault rifle, but it made no ultimate difference to their fate in the war. 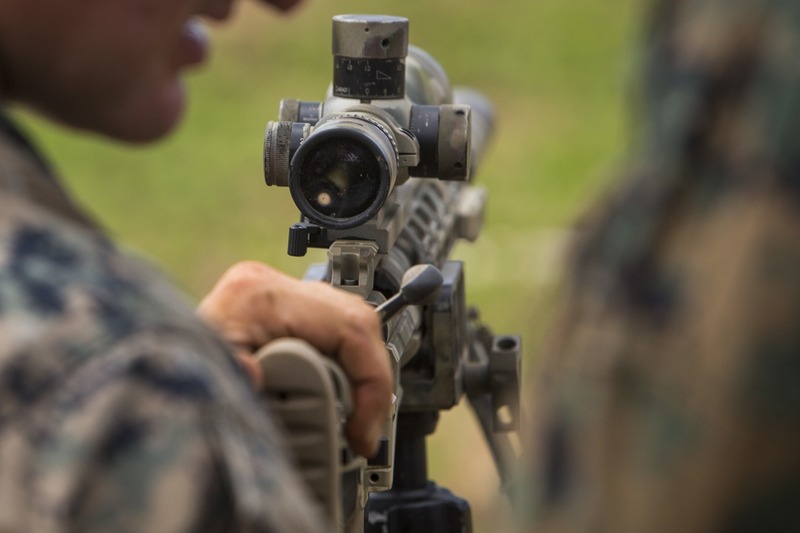 Today, modern infantries issue weapon scopes and sights to all their personnel, and many scopes have been upgraded to allow for easy target acquisition, standard night vision options, auto-aiming functions, and laser range-finders. Many of these are available for the weapon enthusiast, as well. A weapon’s sights typically sit at the end of the barrel. They are designed to help the user visually align their weapon to the target. Some people consider a scope a type of sight: a telescopic sight. This is a legitimate way of thinking, but modern weapons tend to have both scopes and sights, making it essential to differentiate. Open sights offer an aperture at the back end of the barrel and a notch or bump at the front. The user lines these up to make sure the weapon is aimed correctly. Peep sights work similarly, but they help the shooter get alignment more quickly by keeping things fuzzy until they are. Dot sights are the most common these days, and they make shooting a breeze. 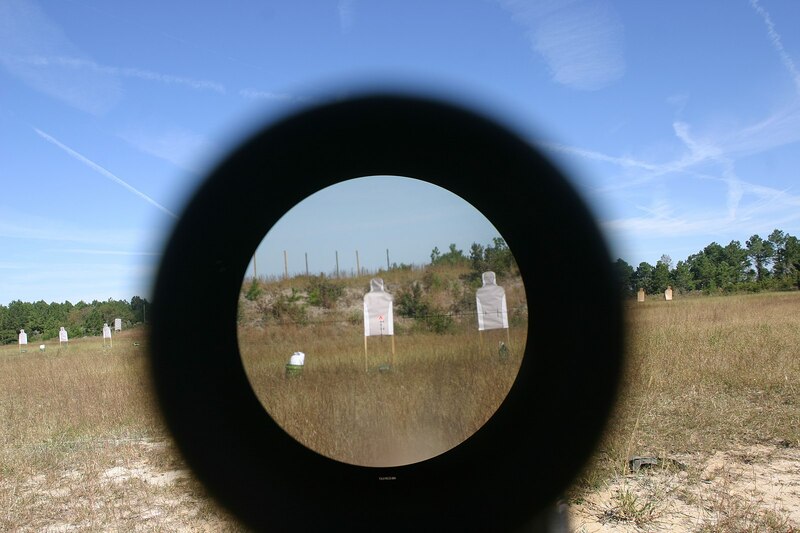 The dot, crosshair, or other aiming point displays across the shooter’s view. There is no need to align the sights, and the image always stays on target. The first guns were ridiculously inaccurate. These 14th-century nightmares didn’t need sights because there was no reason for them: aiming the gun made hardly any difference. All you could do was point it in the general direction of your enemy and hope for the best. By the mid-15th century, firearm accuracy was finally good enough that the first bead sights were added to the muzzles. By the 16th century, people had realized that adding a rear sight made the whole thing more accurate. 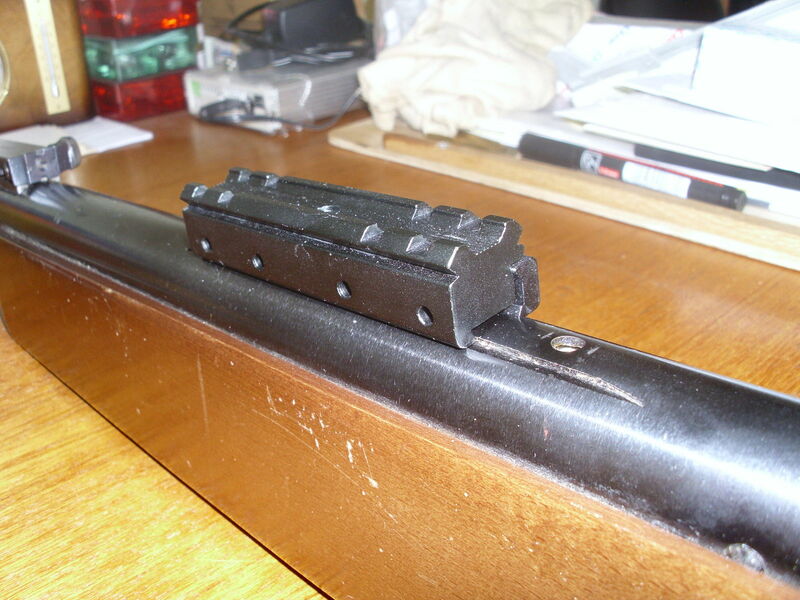 They had also learned to bring the front sight in just a bit, as leaving it at the extreme edge of the barrel made it vulnerable to being knocked and jolted. The next step was making these sights adjustable and providing markings on rifle barrels so shooters could adjust them quickly. It was the Turks who invented the peep sight, and they had a fascinating innovation. They drilled several holes on top of one another, each one designed to be used at a different distance. Their system was so good that it remained in use until the 1800s. In that century, fully adjustable sights were invented, allowing a user to have just one peephole and move notches around to adjust for distance. These came into use during the early 20th century and were used extensively in World War II. 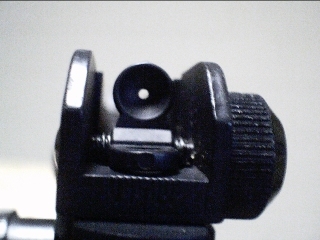 These sights use a small reflecting glass to project the aiming point for the shooter. 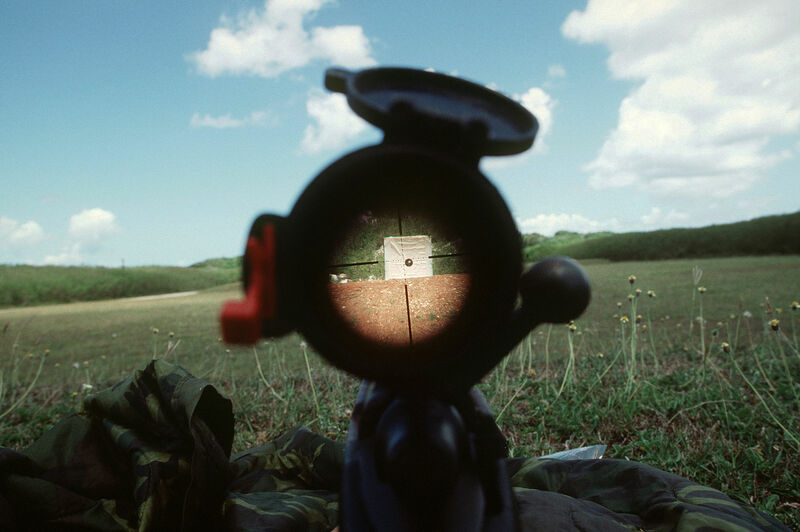 In the late 1990s, holographic sights used the reflective idea and improved upon it by using photography rather than reflection: which did away with any distortion. Laser sights are highly accurate but are the least-used of all the weapon scopes and sights available. That is because they are really more show than substance. They tend to fool the unwary shooter into assuming aim is true because they can see a dot. Unfortunately, the laser cannot factor in distance, wind changes, or movement by the target. An article like this cannot cover every single term related to weapon scopes and sights; however, there are some that every weapons enthusiast should be aware of. On a scope, this is the dial at the end or knob on the left side. 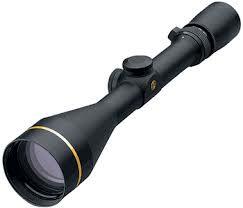 Use it adjust the scope’s parallax to the approximate distance of your target. Gravity is a thing, and bullet drop compensation is the act of accounting for it. The instant your bullet leaves the barrel, it will begin its inevitable descent towards the ground. The farther away the target is, the more the bullet will drop as it travels. This means an accurate shooter needs to raise their weapon a certain amount to compensate for varying distances. Good weapon scopes and sights help you compensate. One click refers to one notch of adjustment in a scope’s elevation. Typically, once click will change the scope’s impact point by 100 yards. This is the distance your eye needs to be from the end of a scope in order to still see it completely. This tells you how powerful your scope is. Magnification is expressed with a number and the letter “x.” A 10x scope shows you things ten times closer than looking with your naked eye. 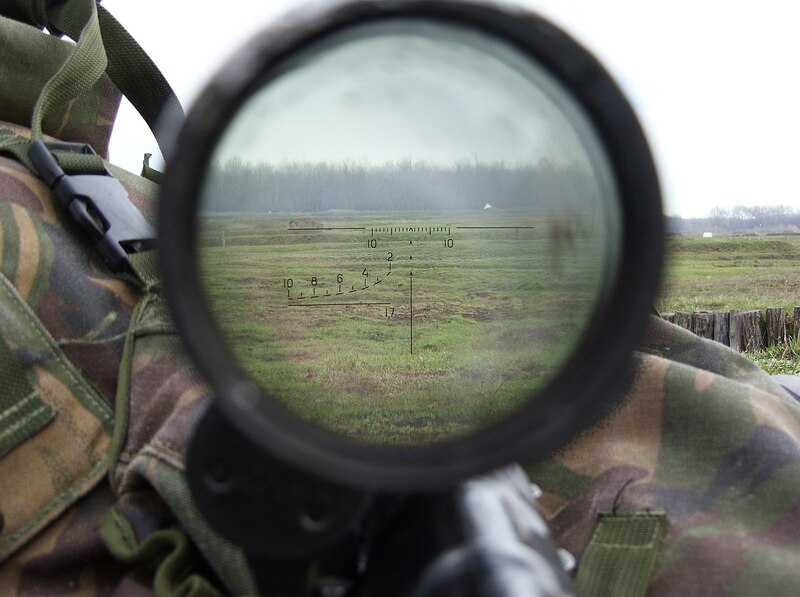 This term refers to the apparent position of your scope’s reticle on the target. Most scopes allow you to adjust this by 100 or 150 yards at a time. 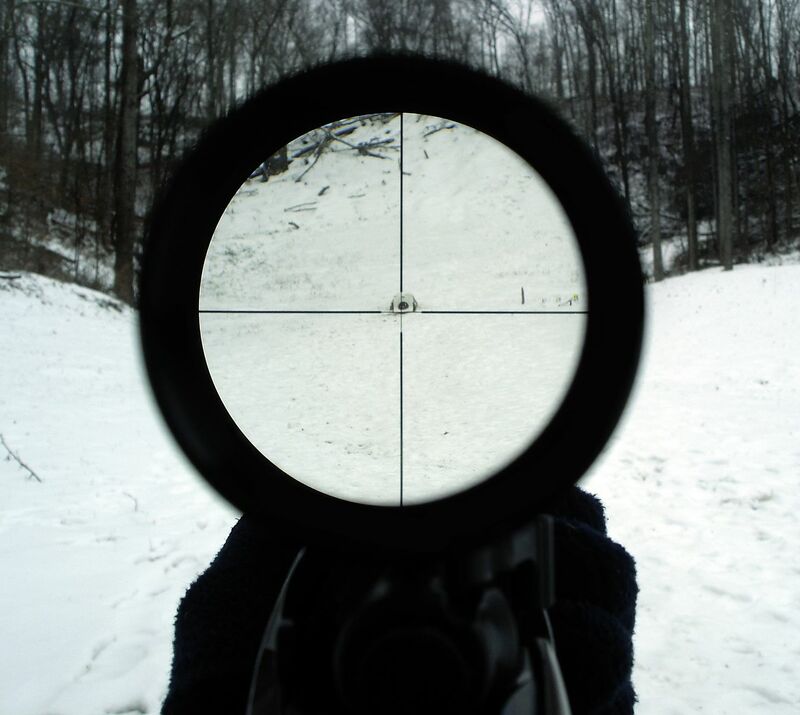 If the target and your reticle are not on the same focal plane, the reticle will not fix on the target. 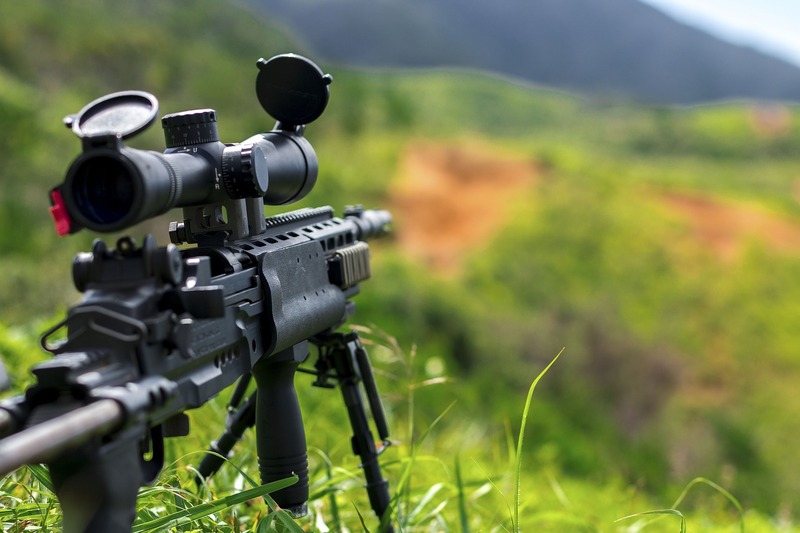 Not necessary for shooting at ranges under about 250 yards, parallax compensation becomes increasingly important the longer distance you shoot. Use the adjustable objective to move the reticle around until the target becomes clear. 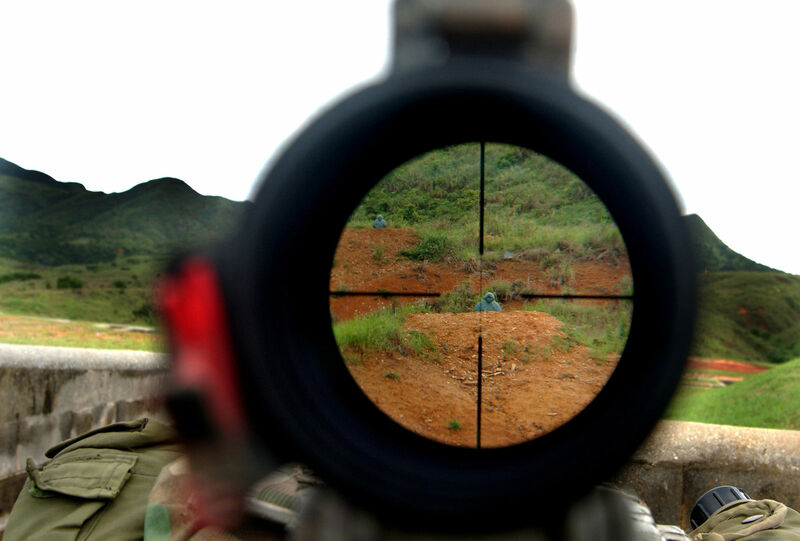 You’ve adjusted correctly when you can move your eye around, and the reticle does not move off the target. Refers to how accurate a rifle scope is when there is little light. The higher the twilight factor, the more light the scope allows in and the more accurate it will be in low light conditions. There’s almost nothing you can’t get online these days, and that includes an array of accessories to improve your experience with weapon scopes and sights. We’ve rounded up a list of some of the most useful for the average shooter. 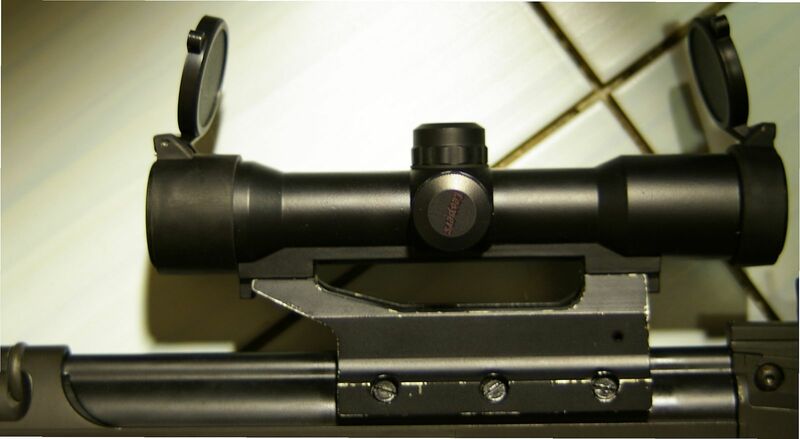 A scope cover is the perfect way to protect your scope from moisture, dirt, or knicks and knocks. The ideal cover goes on and off easily and is made of a stretchy material. If you use more than one scope on your weapon, you will want your own mounting kit to make it easy to take off one scope and put on another. Look for a kit that comes with a leveling tool, a lapping bar handle, a thread lock, gunsmithing screwdriver bits, and a torque screwdriver. If you have a dot sight, you may want a bit of magnification without the bulk and inconvenience of fitting a whole scope. A sight magnifier gives you around 3x magnification in a small attachment that locks into place quickly and easily. This is a handy little tool that allows you to wipe off debris or fingerprints from your scope or lenses without having to fiddle with cleaning compound or worry about scratches. 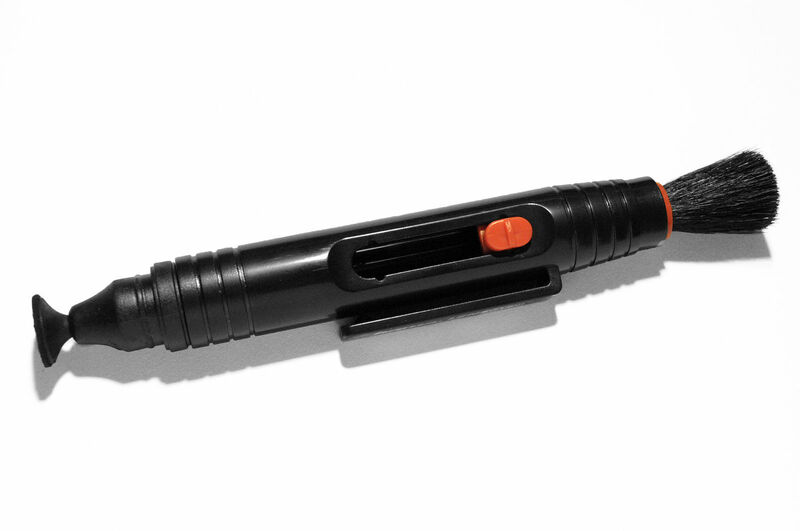 It carries a cleaning compound within it and is shaped like a pen. 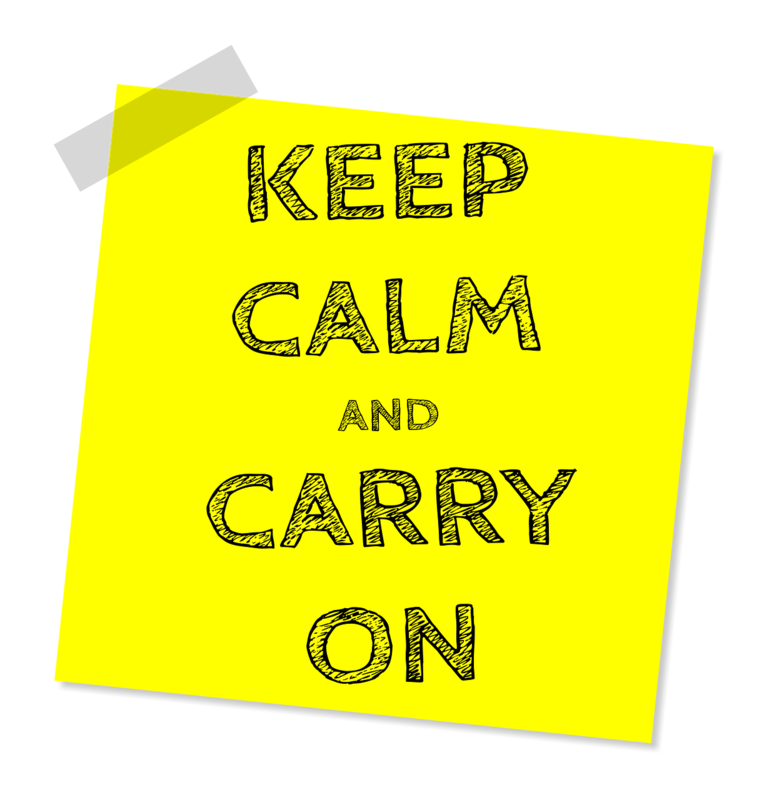 Most scopes will come with a cap on the end to protect it, but if yours doesn’t, or if you’ve lost or damaged the one you have, get another. A lens cap is essential to keep your scope in good working order. There are several types of wind meters, and they all do basically the same job. They give you an accurate estimate of the strength of any crosswind so you can shoot more accurately over long distances. 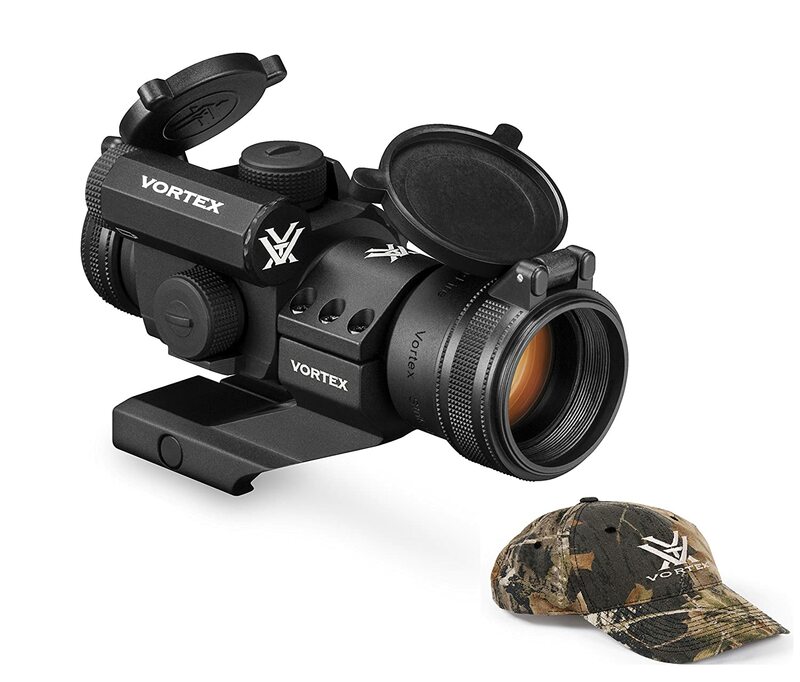 If you don’t want to buy a separate night vision scope, you can use a night vision adaptor. These will go on your weapon’s rail and transform your existing scope into one that can see in the dark. Your rifle scope is one of the most expensive items you’ll buy for your weapon. No matter how much money you spend on your scope, it will be useless if it hasn’t been properly mounted. You can get a gunsmith to do this for you, but there’s no reason you can’t learn to do it yourself. Fortunately, the vast majority of modern rifles are already drilled and tapped to hold scopes, or they come with mountain attachments. This means it’s increasingly possible for the average gun owners to install weapon scopes and sights on their own. It also means it’s crucial to make sure your mounting system fits your rifle. The next preparatory step is to clean everything carefully. Wipe it all down and make sure it’s dry. Apply a little oil or a rust preventative to the mounting rail. Most professionals recommend that you put the scope as low as possible without touching the barrel. Make sure there’s enough clearance at the eyepiece for the bolt to move freely. The scope bases and rings usually attach with socket heads. Secure just the lower half of the rings for now. As you secure them, make sure your fit is even and stable by tightening the screws alternately. If the socket system rotates, don’t use the scope to pivot the ring around. Use the dowel rods to do the pivoting. If you want to make sure things never move, you can even add a drop or two of Loctite. The bottom half of the scope mounting rings should be secured at this point. Put in your scope and then put on the top half of the rings and tighten just enough that you can rotate the scope and move it around. With your gun cradle holding the scope perfectly level, move the scope around until the reticle is perfectly aligned both horizontally and vertically. Make sure that the scope is far enough forward that your eye is safe, but that you still have good eye relief. Once you’re sure everything is level (use the scope level to double check), tighten down the screws on the top half of the rings. As before, alternate tightening the screws, so everything sits evenly. Now you’re ready to do some test fires at the range to site-in your rifle. Replacing iron rifle sights is a bit trickier than mounting a scope. There’s no shame in getting a gunsmith to do this for you if you want to put on different sights. If you’re determined to do it yourself, check out this helpful video to get tips for doing it right. 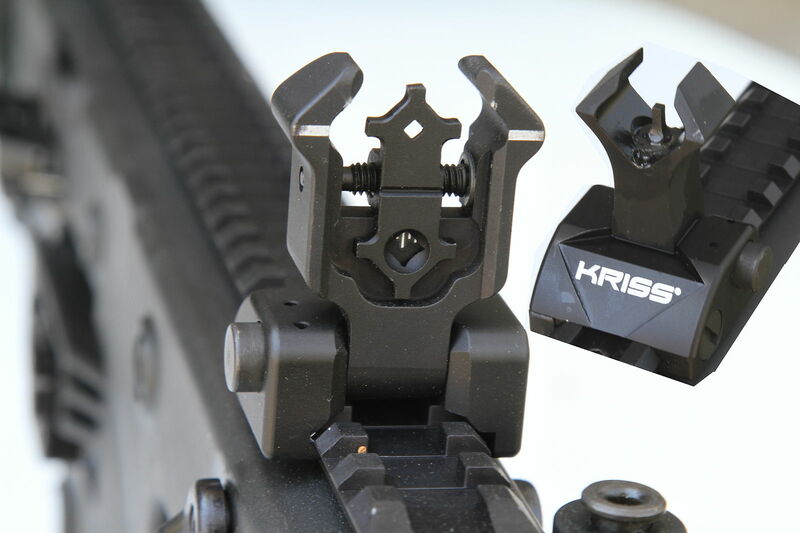 If you want to add a red dot or reflective sight to your rifle, you’re in luck: these are relatively easy to install. Once again, seeing how to do it is the best way to do it right when it comes to sights. Buying a rifle scope can be a difficult and complicated proposition. There are literally hundreds of choices for nearly any modern rifle, and plenty even for older models. 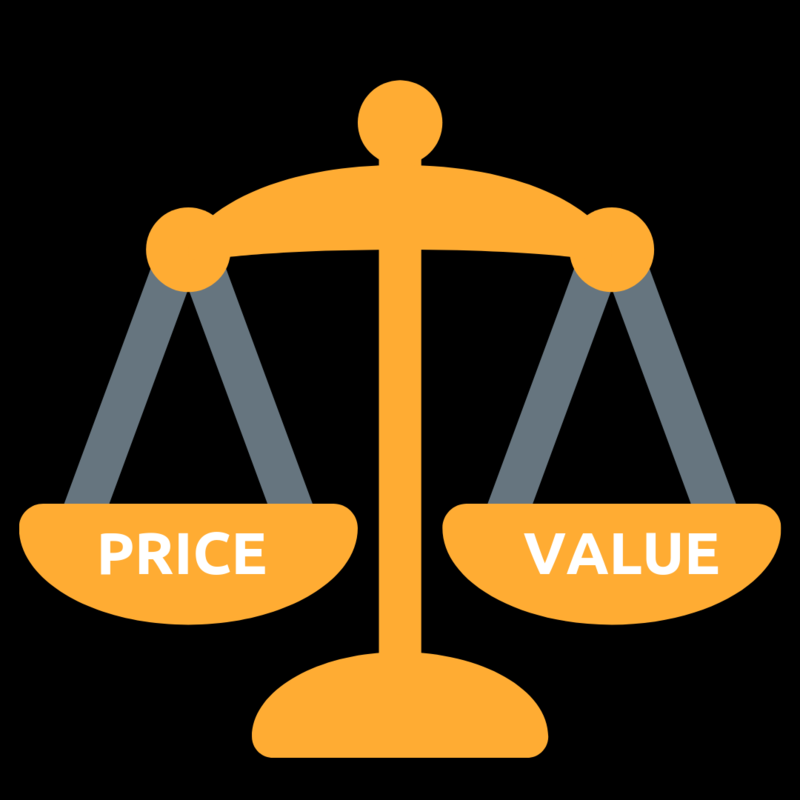 Knowing the terminology and what to look for will help you choose the right scope for your needs. 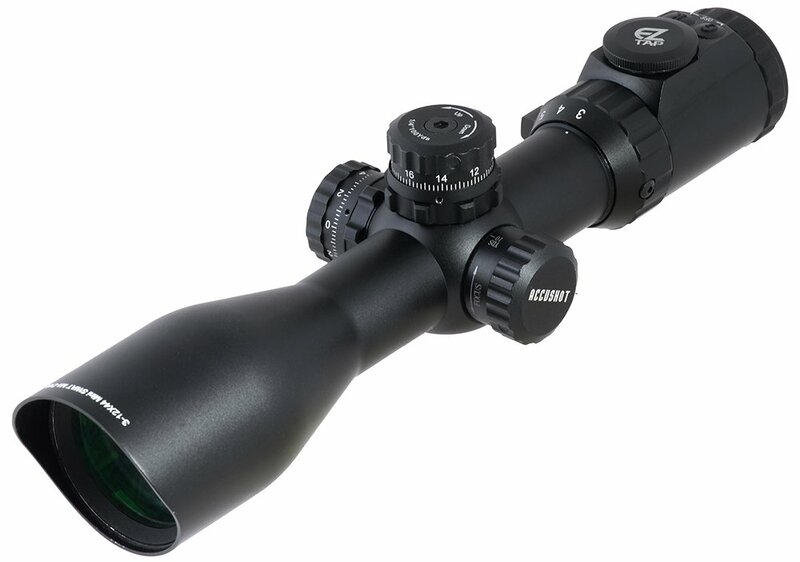 Scopes come labeled with numbers separated by an “x.” The first number tells you the magnification factor of the scope. If you see two numbers to the left of the “x” separated by a dash, this means you can adjust the magnification. The number to the right of the “x” tells you the diameter of the scope lens that is farther forward. The measurement is in millimeters. The magnification of your scope matters. 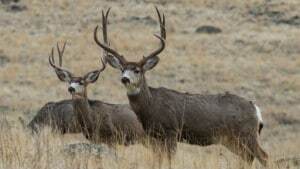 Let’s say you use your rifle for deer hunting in the forest. If you have a scope that gives you 32x magnification, you’re going to find it impossible to see through all the undergrowth and brush to make out anything. 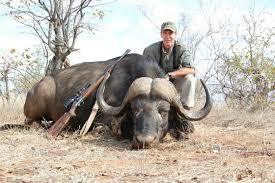 But, let’s say your favorite activity with your rifle is long-distance target shooting. If you’ve only got a 3x rifle, you’re never going to do very well. Scope magnification has to match your intended activity. 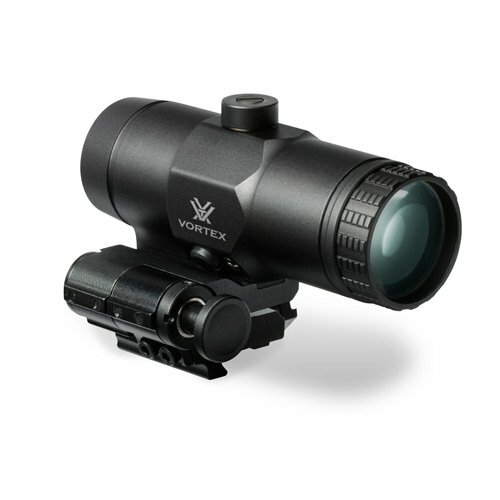 Basically, scope magnifications between 3x and 9x will make it easy for you to track a moving target and shoot quickly and intuitively. Anything over 16x is going to be large, heavy, and perfect for target shooting. If you want to have options, you can get a variable power scope. The only problem with variable scopes is that they are significantly more expensive than scopes without this feature. They also tend to be a bit more susceptible to breakage due to the delicate moving parts that allow them to change magnification. The important thing about the diameter of the scope’s lens boils down to light. The larger the lens, the more light the lens allows in. 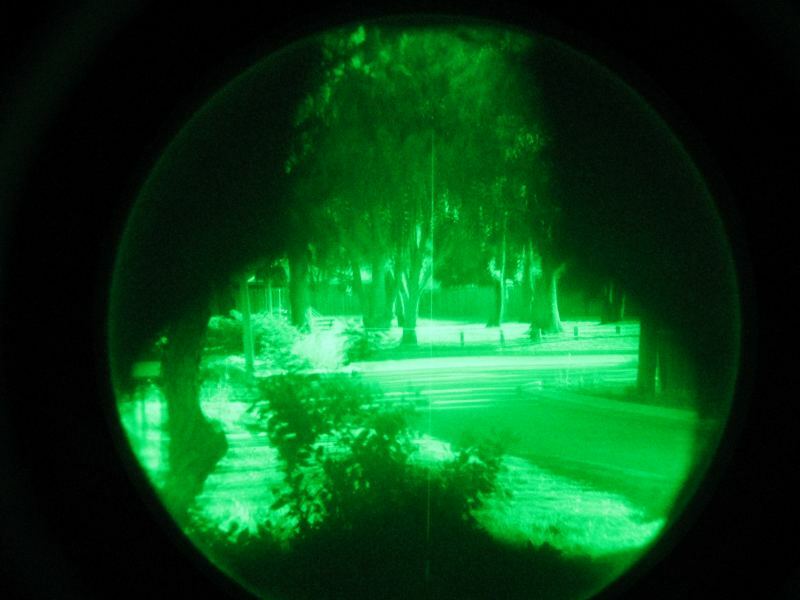 The scope needs ambient light to transmit the image to your eye, but the scope’s reflective lenses lose some of the light as the image makes the journey. 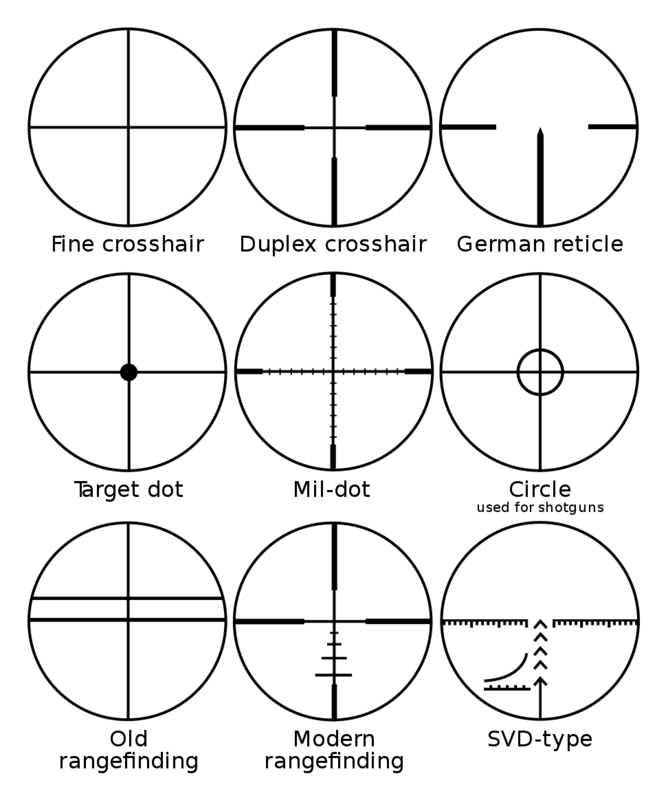 This means that the image you see through the scope will always be dimmer than it really is. In bright, blazing sunlight this doesn’t matter in the slightest; in fact, in really bright conditions it can be helpful. But at twilight, in the rain, or in other low light conditions, this can seriously compromise your view. The larger the lens diameter, the brighter and clearer the image will be. In most cases, the more magnification a scope has, the larger the lens diameter will be. So, do you want to just get the biggest possible lens? Not necessarily. The larger the lens, the heavier it is. The larger the lens diameter, the higher above the barrel it has to be mounted. If the scope is mounted too high, it may make it difficult for you to put your cheek in the right place, compromising your shots. 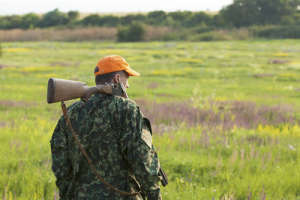 You can always buy a cheek-riser to compensate, but in many cases, your best bet may be to get a slightly smaller one scope and either add a night vision attachment or switch over to a night vision scope when you know you’ll be shooting in low light. There are a lot of possible reticle patterns to choose from. In most situations, the final choice is just up to your personal preference. However, there are two things worth knowing. First, mildot reticles have small dots in the center of the crosshairs, and you can use these to tell how far away a target is, so long as you know the target’s size. The dots also make it easier to adjust for wind changes or elevation rises or drops. This is the standard for more snipers. Second, a BDC reticle is very useful if you need to shoot at targets over a variety of ranges quickly. The “BDC” stands for “bullet drop compensator.” These work well, but once you start shooting over 500 yards, they become less accurate. Cheaper scopes usually can’t adjust to compensate for parallax. They are typically designed to offer no parallax at 100 yards. Anything significantly more or less than this and the scope won’t perform very well. If the scope magnifies at 12x or beyond, you’ll want to make sure it comes with parallax correction. Scopes come in either First Focal Plane (FFP) or Second Focal Plane (SFP) designs. 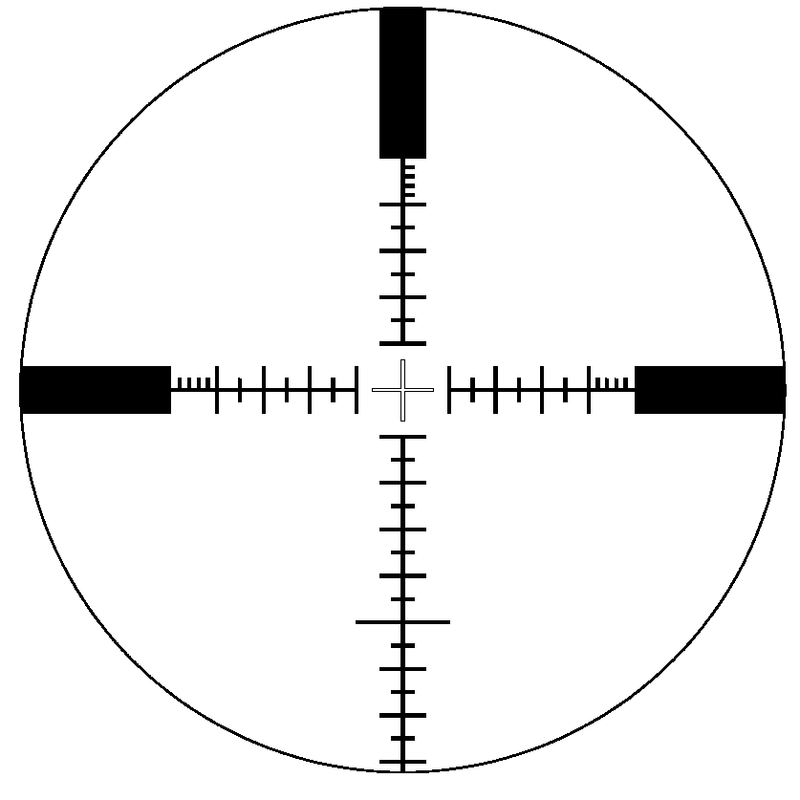 Most modern scopes use the SFP reticle arrangement. Basically, this means the reticle you see through the scope will stay the same size no matter how you change the magnification. This is really useful if you will be changing magnification a lot and need the same consistent view no matter what power you’re using. 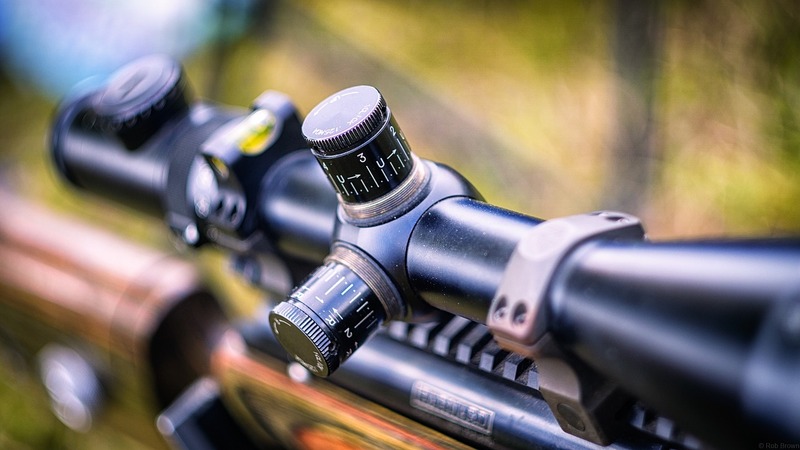 FFP designs make the reticle scale up and down as you adjust the magnification. The upside of this is that you can be sure your markings are accurate at varying distances. The downside is that the reticle can get a bit hard to see at lower magnifications. FFP designs are best when you know you’ll always be using high magnification. Scopes can be very pricey. Budget scopes will cost $200 or less, while the most expensive models can easily run over $3,000. The more money you pay, the more range you get, the more choices you’ll have in terms of reticles, and the better parallax adjustment will be. If you have the chance to test out some scopes on some buddies’ rifles or at your favorite range, go for it. In most cases, and as with most things, you do get what you pay for. However, it’s definitely not necessary to drop thousands of dollars just to get a serviceable, durable, useful scope. 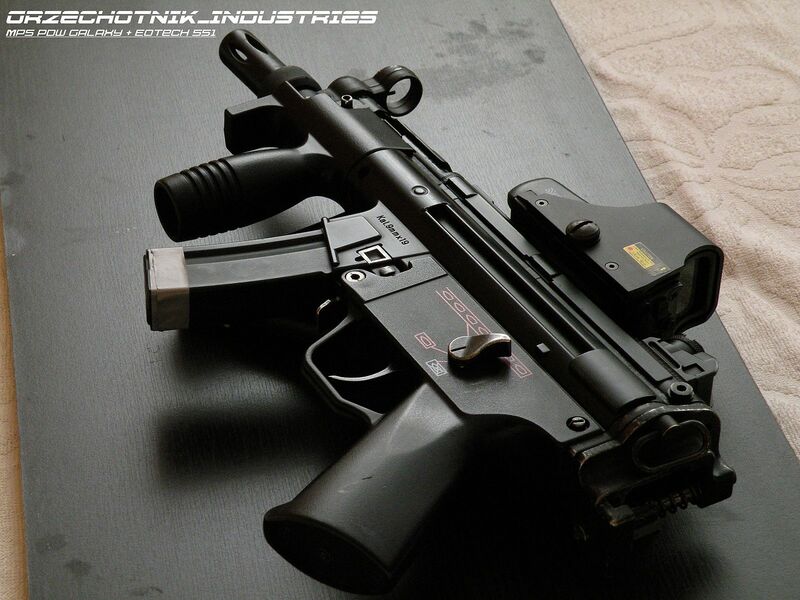 The most common type of sight, iron sights, are the typical factory default for guns. This isn’t a very precise type of sight, especially if you only have one sight at the end of the barrel; but in some cases, they work really well. Shotguns are a great example of a weapon that really doesn’t need a lot of fancy sites. Pistols also work well with double iron sights, one in the front and one in the rear, though in most cases their effective range is only about 50m. Simple iron and peep sights will also be problematic for you if you have poor eyesight or don’t have time to put in a lot of practice. Laser Sights are cool, and they can be very useful for a new gun owner. They can help you get a sense of what you’re doing; however laser sights can actually be bad for experienced users. As mentioned above, it is tempting to rely so much on the laser that you neglect important steps in your development a weapons expert. It’s also worth bearing in mind that laser sights give away your position when you’re in the dark. This is something to consider if you have a gun for home defense or for hunting. 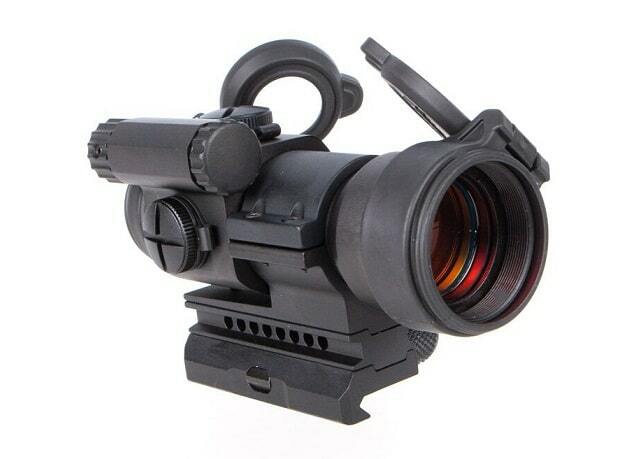 Reflector sights are most often used by the military and law enforcement in weapons designed for short range fights. They allow the user to shoot quickly and accurately and can be adjusted for daytime and nighttime use. You can put reflector sights on a hunting weapon, but in most cases, it won’t be your best tool. Additionally, you need to be aware that moving the sight lever—either on purpose or by accident—means you have to re-sight the weapon. 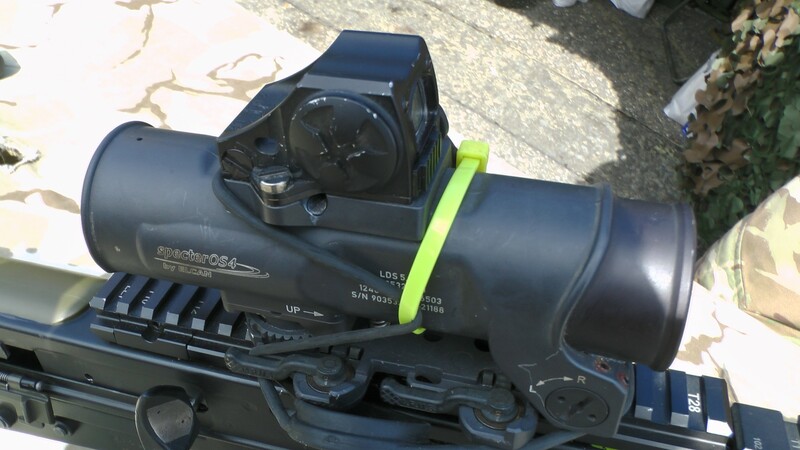 Weapon scopes and sights require basic cleaning to keep them in good shape. For iron sights, cleaning is a snap. Simply wipe them down with a gun-safe cleaner on occasion. For scopes, the situation is a bit more complex. Fortunately, modern scopes usually come with coatings that protect the lenses from scratches, but eventually, even the fanciest and most expensively coated lens will need to be cleaned. Whatever you do, please don’t use the tail of your shirt, some scratchy old napkin you found in your truck glove compartment, or any kind of ordinary spray cleaner on your scope. Even shirts and cloth that feel very soft to you are going to scratch the coating of your lenses. As for those spray cleaners, unless they’re purpose-made for the job, they are liable to actually degrade the coating. Never ever use Windex, we’re begging you! The best way to keep your lenses clean is to use lens caps and covers. Whether your gun is being stored or you have it with you but aren’t actively using it, keep the scope protected. When you clean the rest of the rifle, keep the cap and cover on your scope: the powerful cleaners that are suitable for the rest of the weapon will destroy your scope lenses over time. You want to get the most out of your weapon scopes and sights, so here are some tips to help you make the right choice for your needs. If you’ve paid a lot of money for your rifle, don’t compromise your ability to use it by saving money on the scope. An amazing rifle demands an amazing and precise aiming device to allow you to get the most out of it. A fancy reticle that lest you adjust for elevation and wind could be awesome: but if you don’t really need it you’re just paying money for nothing. If you just want to aim at shorter distances, don’t splash out for a tactical reticle you’ll never get around to using. If you’ve paid a lot of money for a quality scope, the last thing you want to do is mount it to your rifle with a cheap bit of plastic. A strong mount doesn’t have to cost a lot: it just needs to be made of quality material. It is impossible to overstate how important it is that your scope be perfectly level. Even if your reticle is a bit off, that won’t matter terribly if the scope is level. All you have to do is slightly adjust. It’s worth investing in a level device if you do a lot of shooting. 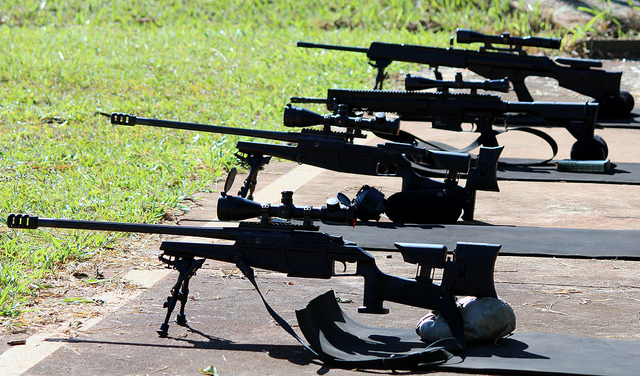 In many ways, your rifle is only as good as the sights you use; especially if you’re shooting over distance. A great scope, meanwhile, can improve the accuracy of even an average rifle. 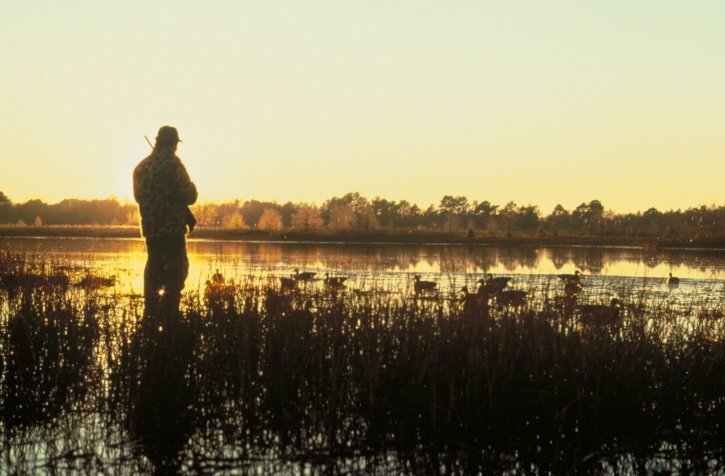 Choosing the right weapon scopes and sights means knowing yourself, knowing your weapon, and knowing what your typical shooting conditions will be. If you’re a beginner, however, remember that practice is the most important thing. Even the most expensive scope on the market can’t make up for a lack of skill; and in the end, having a weapon is no good if you don’t know how to use it effectively.